You must acquire new donors to survive. How many donors do you lose a year? Figuring out your donor attrition rate is a crucial metric that can determine the longevity of your charity. 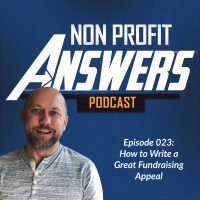 If you aren’t acquiring enough new donors to make up for the ones you lose, your nonprofit’s revenue will start to decline. In this episode of Nonprofit Answers, you will learn the A+B+C+D formula for digital donor acquisition.